flowers for flower lovers. : Golden rod flowers. 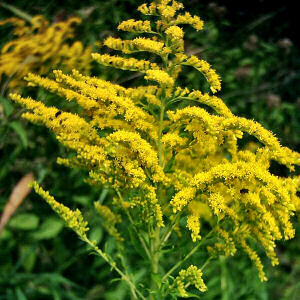 Many allergy sufferers believe that Goldenrod is one of those specific plants responsible for their late summer, early fall miseries. But this is not the case. 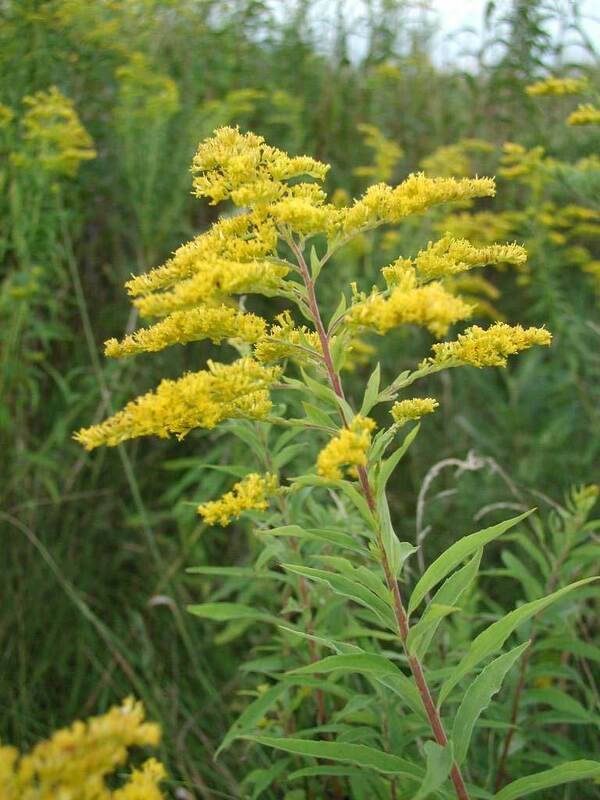 Goldenrod does not pollinate through the air. Rather, it relies on insects to pollinate. Ragweed is the true bane of hay fever sufferers. One particularly unusual feature of this plant is the 'gall ball' phenomenon. During late summer, a certain fly will lay its eggs on the plant. The larva burrows into the stem forming a bulge or gall ball in the stem of the plant. It will winter over in this ball and emerge as an adult in the spring. 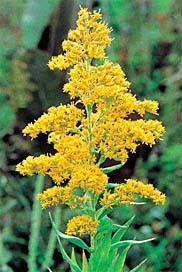 Wildflower enthusiastists will note during early spring that almost every Goldenrod plant harbours a gall. But not all galls harbour a grub. If the gall has a tiny hole in it, it means that some bird, like a chikadee or woodpecker, has extracted the grub during the winter or the grub has wormed its way out on its own. Goldenrod blooms August through October.